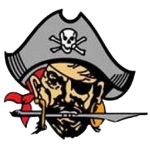 OTTAWA – Angelique Cowan scored a season-high 20 points Thursday night and became the fifth Lady Pirate to reach 1,000 career points as Ottawa completed a season sweep of La Salle-Peru. Cowan achieved the mark with a 3-pointer in the third quarter, her fourth of the game. She scored 10 points in the first half as Ottawa led 20-16 at the break, then scored the historic points to start a game-deciding 11-0 run. Sloan Gayan added 10 points as Ottawa (16-8, 6-5) earned a win on its Senior Night. Rhiannon Skoog led the Lady Cavaliers (6-15, 4-7) with nine points. I-8 girls hoops: FINAL IN OT Streator 42, Coal City 36. Read J.T.’s full recap for The Times here. OTTAWA – Luke Cushing scored 11 points for Ottawa in Wednesday night’s victory. Dillen Bailey added nine points and Anthony Miller finished with eight points.